Horizons Landscape & Irrigation Inc., can take care of the simplest landscape jobs, to the largest, most complicated jobs for your personal and business needs. If your home or business needs to have the landscaping beds cleaned up and mulched, we are here for you. 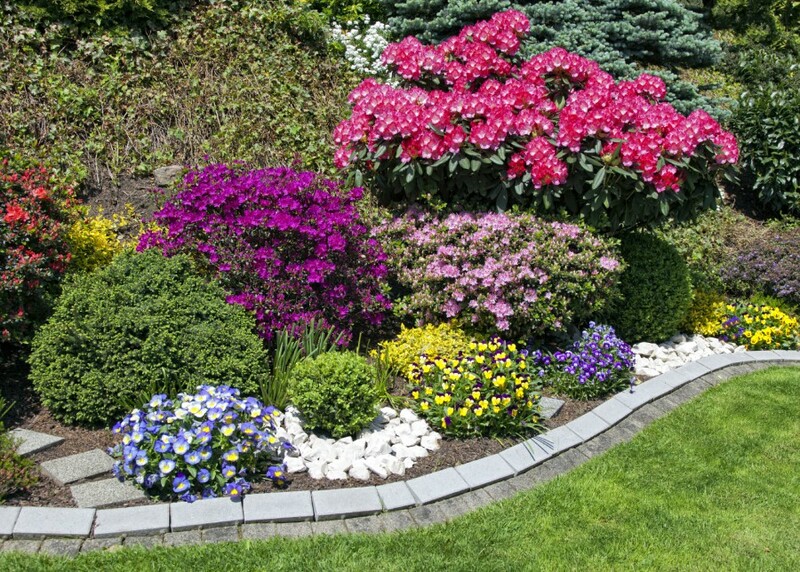 When spring hits and you are looking for some color, we can plant annuals and perennials to brighten up your landscaping beds. We can also design and install any type of landscaping you are looking for, from sprucing up your current landscaping beds to installing a new home or property. Landscaping can not only beautify your home or business, it can also offer privacy. If you have an unsightly building or lawn next door or you are just looking for some peace and quiet, we can help you. We have the full capacity of planting 25’ tall Spruce Trees or other trees of your choice of that size. It allows instant privacy from anything you may not want to see. We also go above and beyond plants to make your dreams come true. Looking for a new paver patio along with a fire pit, water features, and landscaping lighting . . . Horizons Landscape & Irrigation Inc., can do it! We can turn your home or business into a sanctuary where you’ll never want to leave. Landscaping comes natural for all of our professionals here at Horizons Landscape & Irrigation, Inc. We take pride in what we do and want to bring your dreams to life. Our landscape crew leaders consist of over 29 years combined experience. No matter what landscape crew shows up for your landscaping project, you can have the utmost confidence of a professional installation and complete happiness when the project is complete.